As you probably know, Dubai- like no other city – is a synonym for luxury and superlatives. Everything has to be higher, taller, and faster. 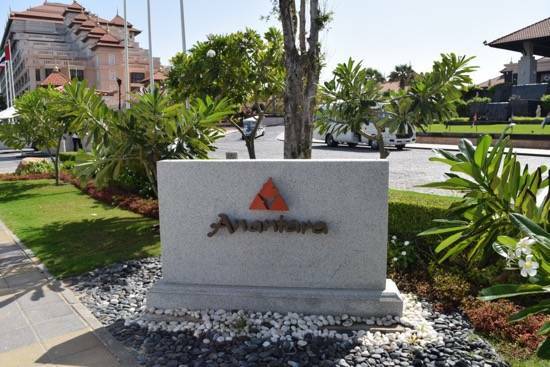 So, how does a hotel like Anantara fit in? The minute I set foot in the resort I was in love with it. Why? 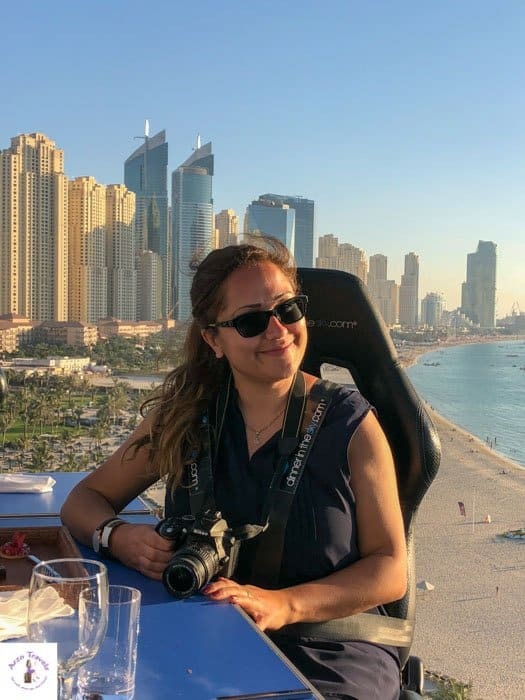 Read my Review: Anantara The Palm Dubai to find out why I lost my heart at this resort – and why it is a special hotel, even in a city like Dubai. 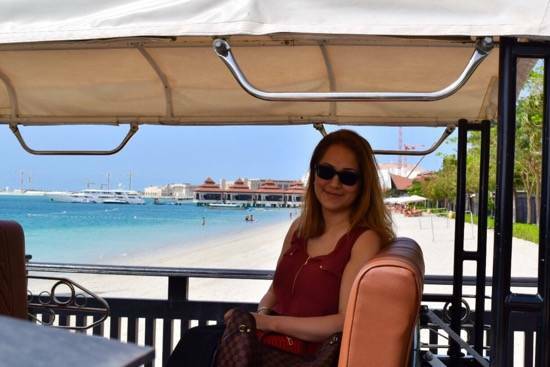 There are so many reasons I have fallen in love with this resort and I think if you want to indulge yourself in luxury then Anantara The Palm Dubai is your place to do so. The Palm, a man-made marvel on the Dubai coastline, is in a very luxurious part of the city completed in 2011. 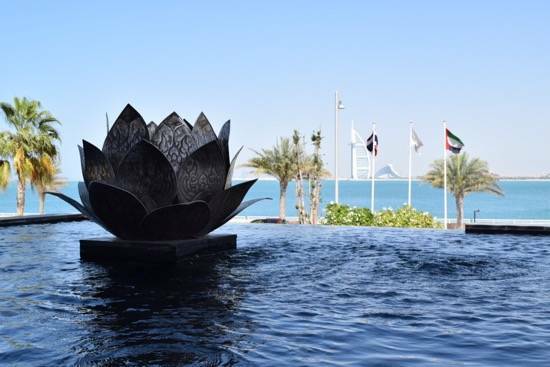 Anantara was completed in and it is different than other hotels in Dubai: its typical South-East Asian styled architecture and Thai influence is visible throughout the resort. I only stayed for one night, but instead of feeling like I was in Dubai, I felt like I was in an Asian paradise. 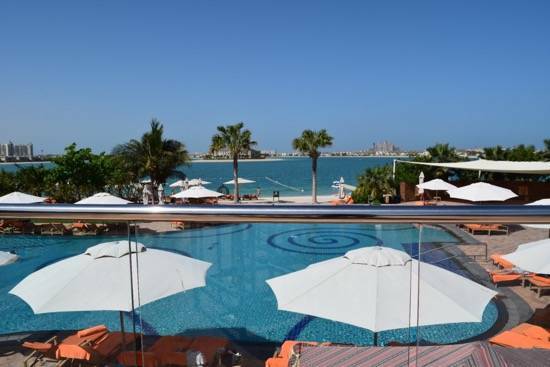 Located in the Eastern part of the Palm Jumeirah, it is perfectly located to enjoy impressive views of famous landmarks (like Burj Al-Arab) while also offering a quiet area to relax and benefit from the amenities and facilities of the resort. When I entered the lobby, I immediately felt comfortable. Though busy, the reception area radiated warmth and coziness. 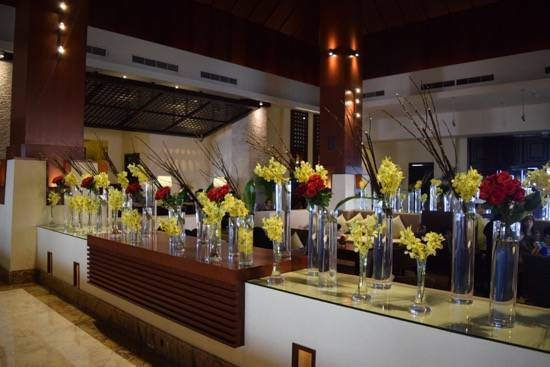 Staying true to the Thai roots of the resort, I was welcomed in the Thai language by a lovely lady in a pleasantly calming and gentle ambiance. I was served fresh ginger and lemon juice and given a wet towel to refresh myself with. I love rides in tuk-tuks so I was more than happy to be driven to my room in one. The inner child in me always appreciates these little details and I was very happy to also be given a fun tour of the resort (seriously, these small things make my day). Although the resort is spread out, it is easy to walk everywhere and explore the different areas by foot, but why miss out on the fun of being driven around in a tuk-tuk? There are several restaurants which offer a variety of international foods such as Mediterranean, Australian and of course, Thai. 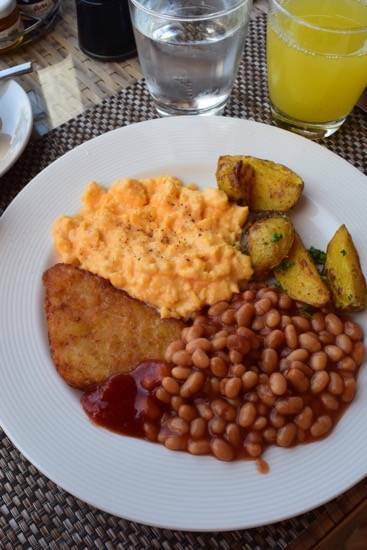 While I did not have dinner or lunch at the restaurants, I enjoyed breakfast at Crescendo next to the pool with a great view (inside eating also possible). Breakfast at the Crescendo restaurant (7 a.m. to 11 a.m.) offers an international buffet and was one of the best breakfasts I have ever had. With an impressive array of foods, including Goji berries and other super foods, any guest would be pleased with the variety of choices. As I am a vegetarian, I did not try any of the different types of meats but I did enjoy the wide selection of vegetarian and vegan options. There was also a gluten-free section. 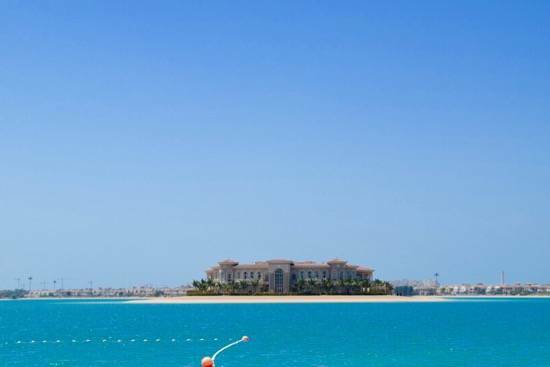 Though there are several pools, including an infinity pool, there is also a private beach belonging to Anantara – The Palm located just behind the pools (watersport activities available). 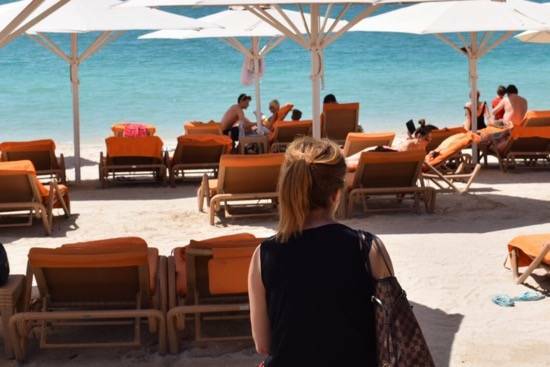 Having been to Dubai once before and only experiencing the public section of Jumeirah, I never expected the beaches to be so nice, clean and clear. The private beach is definitely more beautiful than in other parts of Dubai. There are also several bars located near to the pools so you never have to go far for a snack or a beverage – making your day by the pool very pleasant. 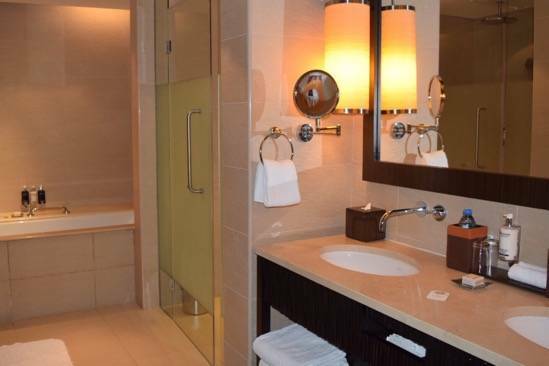 Although not experiencing them personally, the resort offers a variety of spas to take advantage of during your stay. 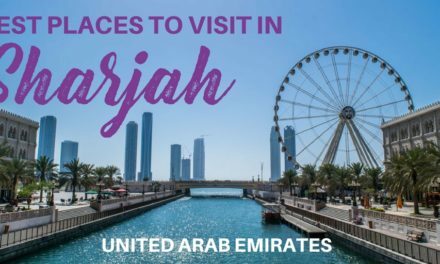 To see more of the Palm Jumeirah region, there are a variety of nice walks that offer views of the Burj Al-Arab or Burj Khalifa. There are also bike stations to rent bikes so you can see more of the area. 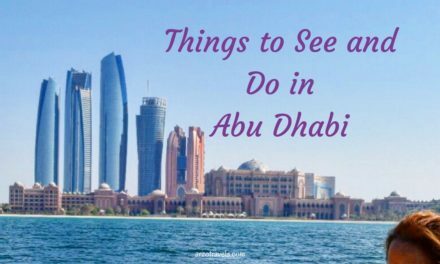 The Hop on and Hop off bus station is about 15 minutes away (Atlantis Hotel) but once a day there is also a tour stopping by directly at Anantara – The Palm. If you want to visit Dubai mainland you need to get a taxi or hire your own car. I would highly recommend this luxurious resort if you want to spoil yourself. If you are looking for a resort getaway, whether it is a short or long stay, then Anantara – The Palm should be on your list. 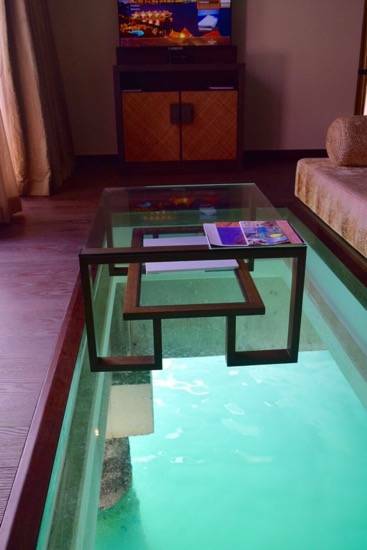 It is not only beautiful but has a friendly staff and is located in a quiet part of Dubai with a stunning beach. The water is particularly clear and the pools are wonderful. 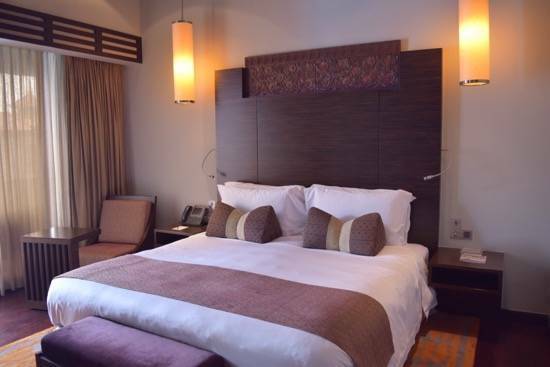 All this allow you to relax and disconnect for a while as it is far away from the hustle and bustle of Dubai. To find out more about this great place and see more pictures click here. 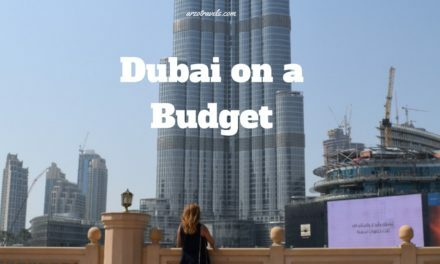 Here is my full guide on where to stay in Dubai – the best neighborhoods and hotels for all budgets. 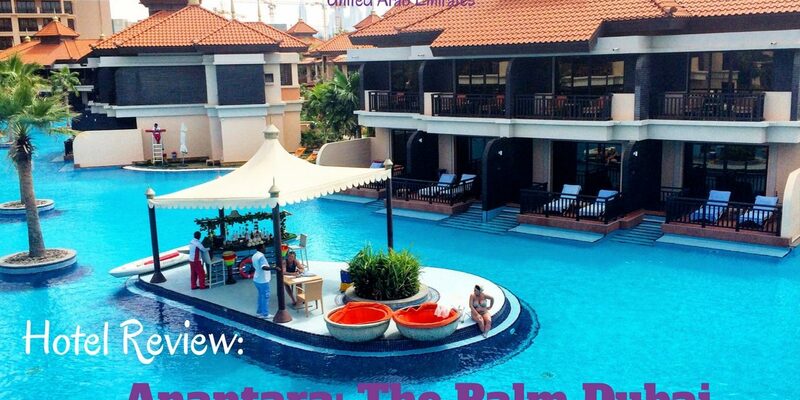 Disclaimer: I was invited to Anantara The Palm Dubai for one night. The opinion and pictures are my own.